Snow Geese blasting off at sunrise. Family of Sandhill Cranes in moring light reflected in the main pond. 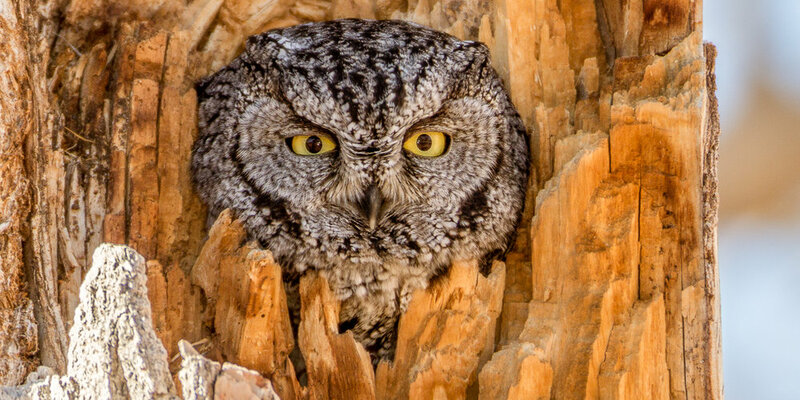 Western Screech Owl watching the photographers drive by. Sandhill Cranes flying at sunset. Cranes flying in early morning light. Sandhill Crane flying in morning light.